Get Rs. 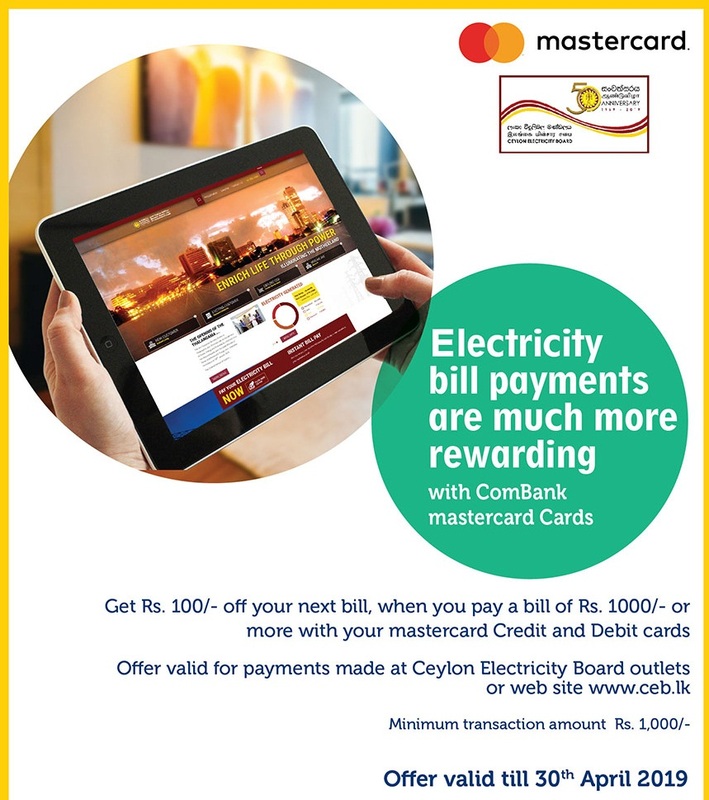 100 off your next bill, when you pay a CEB bill of Rs. 1000 or more with your Commercial Bank Mastercard Credit Card.